Defender Greg Taylor has signed a new deal with Cambridge United, keeping him at the club until the summer of 2017. The 25-year-old left-back has made 70 league appearances for the U's since arriving from Luton Town in 2013. Taylor was a key figure for Cambridge last season as they won promotion back to the Football League after a nine-year absence and claimed the FA Trophy. 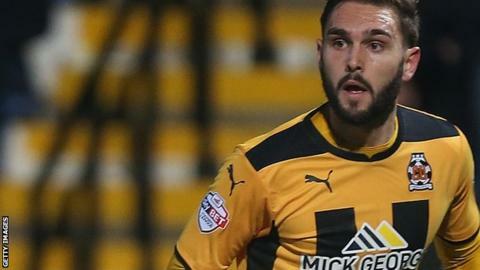 "He has played a major part in the club's success," U's boss Richard Money told the club website.